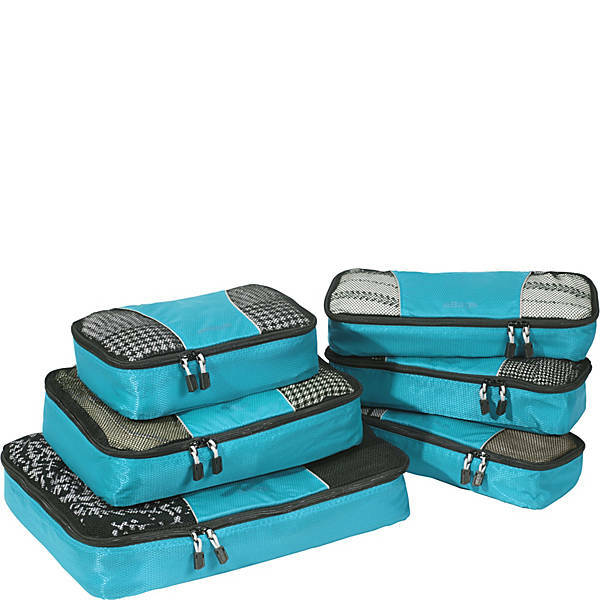 eBags Brand Packing Cubes is excited to offer a 6pc Value Set. This set is the ultimate in organized packing. Combining our best selling Packing Cubes – 3 pc set and our Slim Packing Cubes. This set will make you the most organized traveler among all travelers. 6 packing cubes in all!